Dry heat cooking, such as roasting, broiling or sautéing. 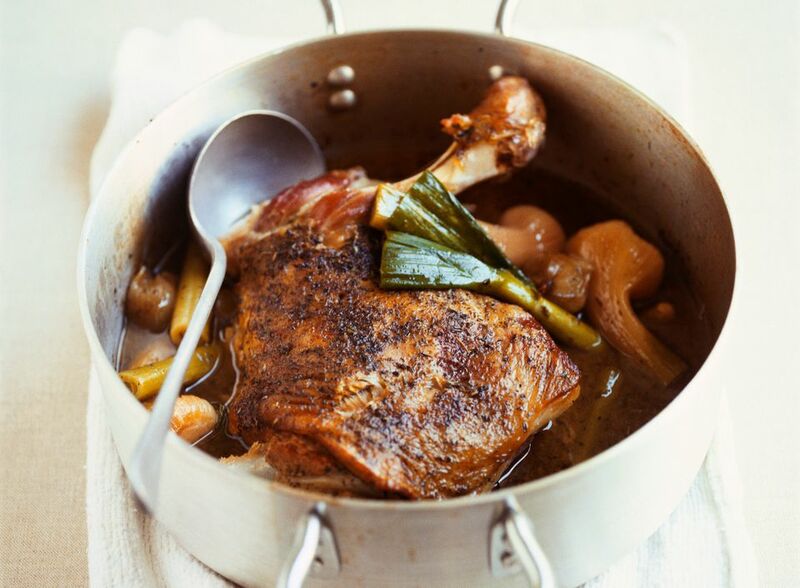 Moist heat cooking, like braising, steaming or poaching. Because every cooking method uses either dry heat or moist heat (or sometimes both), classifying them this way ensures that every known method falls into one category or the other. It's worth noting that cooking methods involving fat, such as sautéeing and deep-frying, are considered dry-heat methods. If this seems confusing, remember that oil and water don't mix, so while fat can take a liquid form, in many ways it's the opposite of water—hence "dry" heat. Using the appropriate cooking method for the type of food being prepared is a major part of the culinary arts. Tough cuts of meat like beef brisket or lamb shank need to be cooked slowly, at low heats, for a long time, and with plenty of moisture. Prepared properly, these cuts can be incredibly tender and delicious. On the other hand, dry-heat methods typically involve very high temperatures and short cooking times. A piece of brisket cooked in this way—on a grill, let's say—would be tough, chewy and largely inedible. Interestingly enough, a beef tenderloin steak cooked using a slow, moist-heat method such as braising would also turn out tough, chewy and inedible—albeit for different reasons.